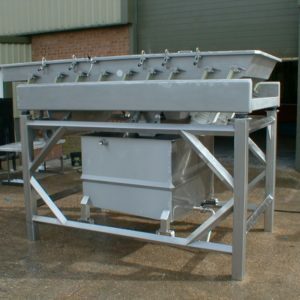 Dodman Flume Washers are good general purpose washing systems. 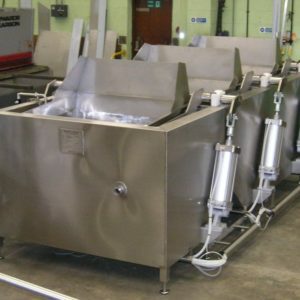 Flume Washers are ideal for the removal of dirt and surface sterilising of products such as leaf salad. 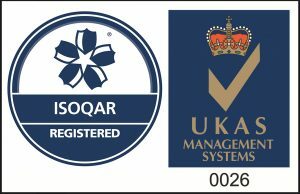 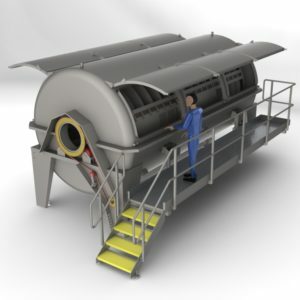 Systems can incorporate fine filtering of recycled water, automatic sterilising agent and optional water chilling. 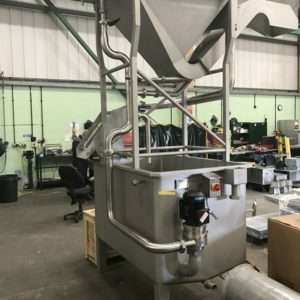 Multi-directional spray sparges ensures an effective washing action to suit different product types. 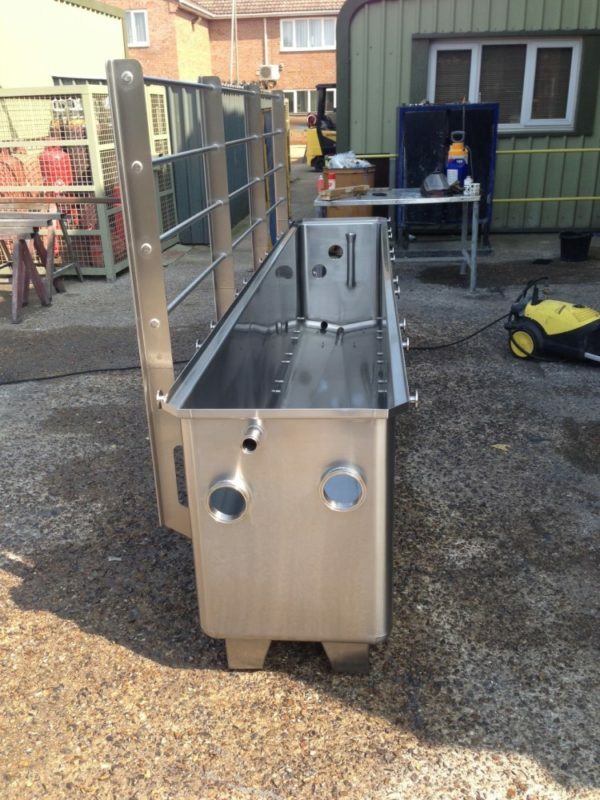 Continuous Salad and vegetable flume washer.